St. Patrick (ca. 387-460), Bishop of Armagh, “Enlightener of Ireland” is celebrated March 17th. Although it has taken on all sorts of other traditions, it is meant to honour the service to God’s Kingdom of Patrick, a man once kidnapped and taken to Ireland as a slave who escaped, and felt God call him to return there, where he planted some 700 churches, raised up 1000 church leaders and brought roughly half of Ireland’s tribes to Christianity through his passionate and creative means of communication, which spoke to the culture. It is a phenomenal example of how to bring the gospel with creativity and use the means the culture has for communicating the Kingdom. 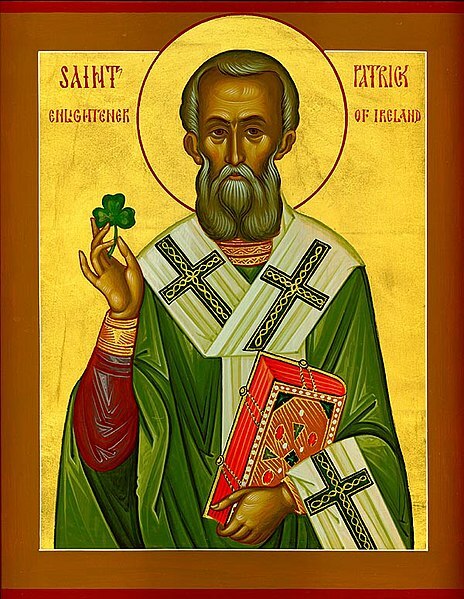 Although it’s come to be a celebration of all things Irish (ironic since Patrick wasn’t Irish), which I can appreciate (having O’ Brians in my family tree) St. Patrick’s Day is far deeper and wonderful if we recognize and honour the source of the feast day- a man obedient to Christ, who shared the Kingdom faithfully. This entry was posted in church, history, mission. Bookmark the permalink.